No Starch Press, 9781593276201, 176pp. Scientific progress depends on good research, and good research needs good statistics. But statistical analysis is tricky to get right, even for the best and brightest of us. You'd be surprised how many scientists are doing it wrong. Statistics Done Wrong is a pithy, essential guide to statistical blunders in modern science that will show you how to keep your research blunder-free. You'll examine embarrassing errors and omissions in recent research, learn about the misconceptions and scientific politics that allow these mistakes to happen, and begin your quest to reform the way you and your peers do statistics. Scientists: Read this concise, powerful guide to help you produce statistically sound research. 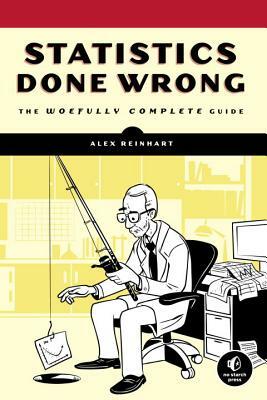 Statisticians: Give this book to everyone you know. The first step toward statistics done right is Statistics Done Wrong.